وحدت آزاد, نادر, وحدت آزاد, اباذر. (1396). بررسی تاثیرنصب جرم گسترده بر سرعت فلاتر ورق یک سر گیردار کامپوزیتی در جریان مافوق صوت. علوم و فناوری کامپوزیت, 4(2), 179-188. نادر وحدت آزاد; اباذر وحدت آزاد. "بررسی تاثیرنصب جرم گسترده بر سرعت فلاتر ورق یک سر گیردار کامپوزیتی در جریان مافوق صوت". علوم و فناوری کامپوزیت, 4, 2, 1396, 179-188. وحدت آزاد, نادر, وحدت آزاد, اباذر. (1396). 'بررسی تاثیرنصب جرم گسترده بر سرعت فلاتر ورق یک سر گیردار کامپوزیتی در جریان مافوق صوت', علوم و فناوری کامپوزیت, 4(2), pp. 179-188. وحدت آزاد, نادر, وحدت آزاد, اباذر. بررسی تاثیرنصب جرم گسترده بر سرعت فلاتر ورق یک سر گیردار کامپوزیتی در جریان مافوق صوت. علوم و فناوری کامپوزیت, 1396; 4(2): 179-188. در این پژوهش رفتار ارتعاشی و فلاتر یک ورق کامپوزیتی چند لایه یک سر گیردار در حضور جرم گسترده بررسی شده است. به‌منظور استخراج فرکانس های طبیعی با انتخاب مودهای فرضی از روش ریلی ریتز استفاده شده است. در این روش انرژی کرنشی ورق محاسبه شده و اثر جرم گسترده اضافه شده به صورت انرژی جنبشی برای سیستم لحاظ شده است. پس از حل مسئله مقدار ویژه فرکانس‌های طبیعی و حل ارتعاشات اجباری با در نظر گرفتن اثر سیال بر روی صفحه با استفاده از تئوری پیستون، سرعت فلاتر برای ورق با و بدون جرم گسترده بدست آمده است. اثر گستردگی طول یک جرم مشخص بر رفتار ارتعاشی ورق بررسی شده است. علاوه بر این، افزایش چگالی جرم اضافه شده در یک موقعیت مشخص بر سرعت فلاتر نشان داده شده است. تاثیر فاصله قرارگیری جرم گسترده از انتهای گیردار ورق مورد مطالعه قرار گرفته و تغییرات فشار آیرودینامیکی بی بعد و فرکانس بی بعد فلاتر به‌دست آمده است. در انتها با فرض چندلایه با زاویه لایه چینی‌های متفاوت رفتار ارتعاش اجباری ورق بدست آمده است. In this study the vibration behavior of a laminated composite cantilever plate with an attached strip mass was studied. In order to extract flutter speed, the Rayleigh-Ritz method was used by choosing selected shape functions. In this method, strain energy of the plate is calculated and the effect of attached mass is considered as kinetic energy for the system. After reaching an eigenvalue problem then natural frequencies, the force vibration of the plate is analyzed by piston method and flutter speed for each case study is obtained. The effect of the attached mass length is shown. Moreover results have shown that flutter speed was reduced continuously by increasing the mass density. Also by considering a specific laminate with different orientation of layers flutter speed is obtained. At the end attached mass offset from clamped edge is analyzed. In this paper effect of attachment mass, mass length and mass position on plate flutter frequency is analyzed. The results obtained through this study reveal that strip mass density, attached mass length, orientation of composite layers and attached mass position can change the system critical dynamic pressure significantly. Alibeigloo, A., Shakeri, M., and Kari, M., “Free Vibration Analysis of Antisymmetric Laminated Rectangular Plates With Distributed Patch Mass Using Third-Order Shear Deformation Theory” Ocean Engineering, Vol. 35, No. 9, pp. 183-190, 2008. Farhadi, S. and Hosseini-Hashemi, S., “Effect of a Bonded Patch on Aeroelastic Behavior of Cantilevered Plates” Journal of Applied Mathematics, vol. 20, No. 14, pp. 13-20, 2010. Gorman, D., “Free Vibration Analysis of Cantilever Plates by the Method of Superposition” Journal of Sound and Vibration, Vol. 49, No. 10, pp. 453-467, 1976. Boay, C. G., “Frequency Analysis of Rectangular Isotropic Plates Carrying a Concentrated Mass,” Computers & structures, Vol. 56, No. 14, pp. 39-48, 1995. Kopmaz, O. and Telli, S., “Free Vibrations of a Rectangular Plate Carrying a Distributed Mass” Journal of Sound and Vibration, Vol. 251, No. 6, pp. 39-57, 2002. Wong, W., “The Effects of Distributed Mass Loading on Plate Vibration Behavior” Journal of Sound and Vibration, Vol. 252, No. 11, pp. 577-583, 2002. Alashti, R. A. and Alibakhshi, R., “Free Vibration of Simply Supported Rectangular Composite Plates With Patch Mass” Computers & structures, Vol. 32, No. 8, pp. 3-48, 2012. Alibakhshi, R., “The Effect of Anisotropy on Free Vibration of Rectangular Composite Plates with Patch Mass” International Journal of Engineering, Vol. 25, No. 3, pp. 223-232, 2012. Alibakhshi, R. and Alashti, R. A., “Vibration Analysis of Laminated Composite Plates Carrying Rotating Circular Mass,” International Journal of Advanced Design and Manufacturing Technology, Vol. 7, No. 11, pp. 1-9, 2014. Jordan PF. “The physical nature of panel flutter”. Aero Digest. Vol. 34, No. 8, 1956. Dowell, EH. Panel flutter., “a review of the aeroelastic stability of plates and shells” AIAA J, Vol. 8, No. 3, pp. 385–99, 1970. Bismarck-Nasr, MN. “Finite element analysis of aeroelasticity of plates and shells”. Appl Mech Rev, Vol.45, No. 12, pp. 461–82, 1992. Bismarck-Nasr MN. “Finite elements in aeroelasticity of plates and shells”. Appl Mech Rev, Vol.49, No. 10, pp. 17–24, 1996. Durvasula S. Flutter of simply supported parallelogrammic flat panels in supersonic flow. AIAA J; Vol. 5, pp. 1668–73, 1967. Kariappa V, Somashekar BR, Shaw CG., “Discrete element approach to flutter of skew panels with in-plane forces under yawed supersonic flow”, AIAA J, Vol. 8, pp. 2017–22, 1970. Sander G, Bon C, Geradin M., “Finite element analysis of a supersonic panel flutter”, Int J Numer Meth Eng.Vol.7, pp. 379–94, 1973. Srinivasan RS, Babu BJC., “Flutter analysis of cantilevered quadrilateral plates” J Sound Vib, Vol.98, No. 1, pp. 45–53, 1985. Srinivasan RS, Babu BJC., “Free vibration and flutter of laminated quadrilateral plates”, Comput Struct, Vol. 27, pp. 297–304, 1987. 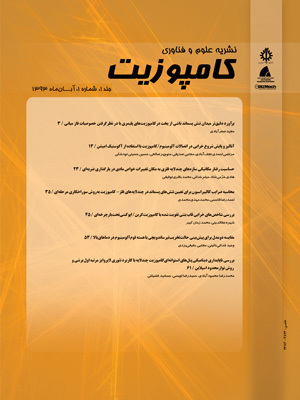 Farhadi S. S. Hosseini-Hashemi, “Flutter stabilization of cantilevered plates using a bonded patch,” Vol.219, pp. 241–254, 2011. Dowell, E. and Ye, W., “Limit cycle oscillation of a fluttering cantilever plate,” AIAA journal, Vol. 29, No. 5, pp. 1929-1936, 1991. Christensen, R. M., “Mechanics of composite materials: Courier Corporation,” Krieger Publishing Company, Florida, 2012. Sivakumara, K., “Natural frequencies of symmetrically laminated rectangular plates with free edges,” Composite structures, Vol. 7, No. 8, pp. 191-204, 1987. In, L. and Jung-Jin, L., “Vibration analysis of composite wing with tip mass using finite elements,” Computers & structures, Vol. 47, No. 2, pp. 495-504 1993. Mei, C., Abdel-Motagaly, K. and Chen, R., “Review of nonlinear panel flutter at supersonic and hypersonic speeds”, Appl.Mech. Rev. Vol 52, pp.416–421, 1999. Singha, M. K. and Ganapathi, M., “parametric study on supersonic flutter behavior of laminated composite skew flat panels”, Composite Structures, Vol 69, No. 9. pp. 55–63, 2005.